The first fatherly trait in Exodus is one of the most important for any sort of relationship: He’s around. When Moses asked who would go with him, God said, “I will go with you.” We find this all throughout Scripture. Wherever you go, God will be there. My dad traveled a lot when I was young. When we were living in England, Dad would sometimes be in the States for months at a time. We missed him terribly. One of the reasons we moved to Milwaukee in 1970 was so that my father could be more invested in our lives—so he could be “around” more. During the years of his absence, my mom pointed me to the “Fatherness of God.” She taught me that He is always around, no matter where I am or what I am doing. While dad was gone, I was forced to seek God’s Fatherness in my life… and His presence became a reality to me. God is with you right now, even as you read these words, intricately involved in your individual life as a very present Father. No mountain is too high, no valley too low, no river too wide to keep Him away from you. You might even try to run away from God or turn your back on Him, but the moment you stop, you’ll realize that He is still there with you. I mean, look what happened to Jonah! Not only is God with you, but He ENJOYS being with you! He desires to love you in every way possible. God, thank You for Your constant presence. Thank You for loving me enough to never abandon me. Please help me remember that You are with me all the time. Amen. Our gift to help you experience Life in 2013! God wants you to experience an abounding, overflowing, deeply rich, and satisfying life in which the LIFE of Christ is living through you! 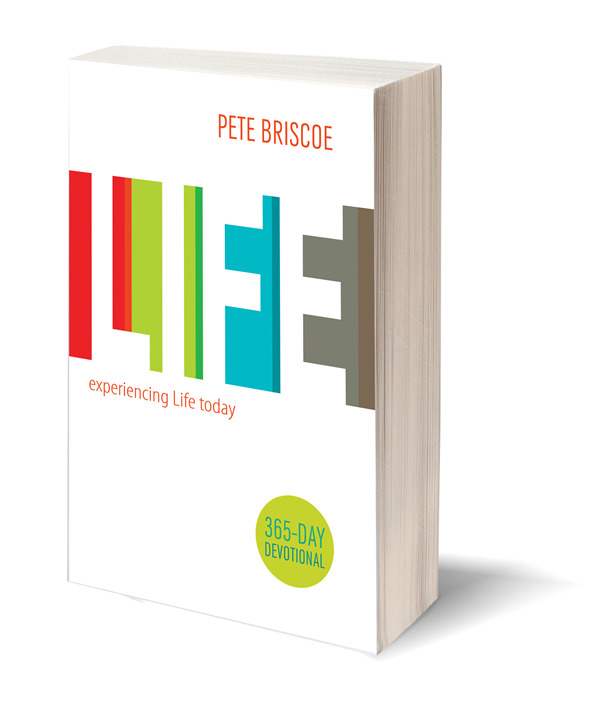 That’s why we want to send you Pete Briscoe’s new 365-day devotional, “Experiencing Life Today”! This vibrant devotional is filled with short, rich teachings for every day of the year that will encourage and strengthen your faith and your relationship with the Lord. In it, Pete touches on topics and questions we all face, and points you to God’s Word for guidance, wisdom, and hope! The Experiencing Life Today 365-day devotional is our gift to thank you for your gift of any amount, so please request your copy today!